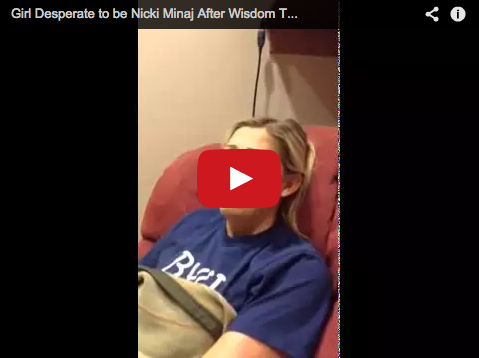 Woman Gets Wisdom Teeth Removed And Thought She Would Look Like Nicki Minaj. 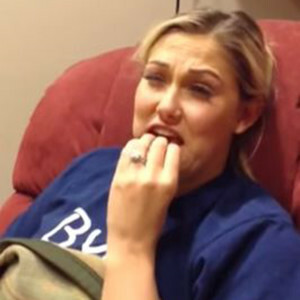 Most people realize that when they go into the dentist to have their wisdom teeth removed they may wake up having made a viral video on the internet. Well this woman went to sleep thinking that she was Jayci Underwood, but when the surgery was over and she woke up from the anesthetic, she thought that she would look like Nicki Minaj. It seems as though that wasn’t the only thing that was disappointing about not being Nicki Minaj. She apparently wanted to use the new found stardom to become best friends with Ellen DeGeneres. “Ellen DeGeneres is generous… that’s literally her name and I love her,” Underwood says. Apparently there are some that doubt the authenticity of this video, but I totally believe it. There’s even a nurse that comes in part way through the video to give Underwood her meds. Well let this just be a warning to anyone who is going to get put to sleep for something like this. Make sure the person who is taking you is someone that doesn’t own a smartphone or camera and this won’t happen to you. Check out the video below, share, and let us know what you think. Toddler Pulled To The Ground By A Strange Force, Or Did She Simply Fall? This Puppy Wasn’t Expected To Live, But See How He Defied All Of The Odds!